In Belgium, there are various forms of multiparty litigation (that is, litigation involving multiple claimants or defendants). These include the following. This is an action exercised by a claimant appointed by law (the group representative) who, on behalf of an unknown group of individuals who have not previously given a proxy to this applicant, brings an action that leads to a decision that prevents subsequent litigation, not only towards the group representative and the defendants, but also towards all group members that have opted in or have not opted out of the procedure. Only the group representative and the defendants are parties to the proceedings, not the group members. There is no affiliation of membership between the acting representative and the individuals represented. At the beginning of the procedure, the number of represented group members is undetermined. This is the main type of class action addressed in this contribution. Several individual legal actions arising from a same or similar event or contract joined and consolidated in the same proceedings by different claimants are often represented by the same lawyer. The related actions are examined by the court jointly, even though they remain individual actions. This is an action brought by an organisation or by a group of people, regardless of whether they intend to achieve an objective of general interest, but with the aim of realising an objective that goes beyond the personal interests of the individual members of the organisation or group. In principle, class actions are not permitted under Belgian law. For actions to be admissible, the claimant must fulfil the ‘personal interest’ requirement (Articles 17 to 18, Belgian Judicial Code). An important exception to this principle was introduced in Title 2 of Book XVII of the Belgian Code of Economic Law by the Act of 28 March 2014, providing for the ‘action for collective redress’. The scope of this action is strictly limited: only groups of consumers represented by non-profit organisations or public bodies are allowed to bring an action for collective redress, which must be brought against an enterprise and must concern an alleged violation of specifically enumerated Belgian and European laws, which all include consumer protection provisions (see Section III). Since the Act entered into force in September 2014, six class actions have been instigated (see Section II). Collective action is a very common method to collectively bring related actions before Belgian courts. There are several exceptions to the ‘personal interest’ requirement. For example, labour unions and qualified human rights organisations are entitled to seek injunctive relief against practices that infringe upon specified labour rights or non-discrimination laws. Professional organisations and consumer protection organisations can also bring cease and desist actions in case of unfair commercial practices. For the time being, the Brussels Court of First Instance, the Brussels Commercial Court and the Brussels Court of Appeal (in appeal) have exclusive jurisdiction to rule on actions for collective redress (Article XVII.35, Belgian Code of Economic Law; Article 633 ter, Belgian Judicial Code). Collective actions can be brought before the ordinary competent court. If all the related actions do not fall within the jurisdiction of the same court, Article 566 of the Belgian Judicial Code provides an order of preference for the different competent courts. There are specific rules for actions of collective interest. Following a new draft bill (extending the scope of class actions under Belgian law; see Section V), it will no longer be possible to initiate class actions before the Court of First Instance. Since the entry into force of the class action regime in the Belgian legal order in September 2014, only six class actions have been instigated. All of the actions were brought by Test Achats, the main Belgian consumer protection organisation. The first was launched to obtain compensation from the national railway company, SNCB/NBMS, for the interruption and the suspension of the train service during eight days of strikes in 2014 and 2015. The second action was brought against the commercial airline company Thomas Cook following a major delay of a flight from Tenerife South to Belgium. The third class action was brought against the Volkswagen Group within the context of the ‘Dieselgate’ scandal. The fourth action was initiated against the largest Belgian telecommunications company (Proximus) after it introduced a renting formula for its new decoders. The fifth class action was initiated against eight websites involved in the resale of concert tickets at exorbitant prices. The most recent class action was initiated against the marketing company Groupon following a sales offer for diapers by a company named Luierbox. Under Belgian Law, for the time being, only groups of consumers represented by non-profit organisations or public bodies are allowed to bring an action for collective redress, which must be brought against an enterprise and must concern an alleged violation of specifically enumerated Belgian and European laws. the amount of damage per consumer cannot be a decisive element in the consideration. In a decision of 17 March 2016 (Case 41/2016), the Belgian Constitutional Court emphasised that it cannot be simply assumed for every damage with a collective character that the action for collective redress will necessarily be more effective than an individual action of ordinary law. It needs to be assessed by the judge on a case-by-case basis whether this is so, based on different criteria (such as the ones above). Collective actions are based on Article 701 of the Belgian Judicial Code, which stipulates that different actions between two or more parties can be brought by one single writ, if the actions are related. Actions can be dealt with as ‘related’ cases, if they are so closely connected that it is desirable to consider and rule on them together, in order to avoid conflicting solutions if the claims were adjudicated on separately (Article 30, Belgian Judicial Code). Even after the initiation of the proceedings, related cases that are pending before the same judge, can be compiled, on request or ex officio (Article 856, Belgian Judicial Code). Action for collective redress can only be commenced for alleged violations by an enterprise of its contractual obligations or of specifically enumerated Belgian and European Rules (Article XVII.36(1) and Article XVII.37, the Code of Economic Law). These rules have in common that they all contribute to the protection of consumers. This list includes provisions included in the sections of the Code relating to competition law, price developments, market practices, consumer protection, payment and credit services, safety of products and services, intellectual property and electronic economy. There are also special pieces of legislation regarding privacy protection, electronic signatures, insurance, health, professional liability, banking and finance, tour operators, passenger transport, energy and product liability, among others. In short, the action for collective redress can only be used for alleged violations of consumer protection provisions within these pieces of legislation. On 6 June 2017, following the recommendations of the EU institutions, the scope of the class action regime was extended to include infringements of EU competition law (Articles 101 and 102 TFEU, including the ban on cartels and abuses of dominant positions). In the decision of 17 March 2016, the Belgian Constitutional Court held that it is legitimate to limit the scope of these laws. The court referred to the legislator’s purpose to reserve the proceedings to consumer law, an area of law in which many cases of limited individual damage (‘small claims’) occur. In the view of the court, the legislator struck the right balance between all interests at stake. These are, on one hand, the interests of the victims of collective damage and of the enterprises, and on the other, the concern to increase the access to justice for such damage while guaranteeing the smooth implementation of these new proceedings in the judicial system (which are therefore better introduced gradually). Collective actions arise in all areas. However, they are most commonly used in competition claims and in environmental and financial services disputes. Actions of collective interest can only be commenced for alleged violations of rights specified in the relevant special legislation. The Belgian Civil Code sets limitation periods (Article 2262 bis). The limitation periods vary depending on the nature of the action. The main terms of limitation are the following. Claims in tort are time-barred five years after the day on which the claimant in tort is aware of the damage and of the identity of the person liable for this damage, and in any event 20 years and one day after the date on which the fact, action or negligence that caused the damage occurred. Most other claims are time-barred after 10 years (for example, contractual liability). Specific rules, given below, are provided in the Code of Economic Law regarding action for collective redress. The term of limitation of consumers’ individual actions who have exercised their ‘opt-out’ option is suspended for the period running from the date of publication of the decision on the admissibility of the action for collective redress in the Belgian Official Gazette until the date consumers inform the court registry of their option (Article XVII.63, Section 1, the Code of Economic Law). If the action for collective redress ends because of a lack of consumers’ representative, the term of limitation of consumers’ individual actions who are members of the group is suspended for the period running from the date of publication of the decision on the admissibility of the action for collective redress in the Belgian Official Gazette until the date the end of the action is ascertained (Article XVII.63, Section 2, the Code of Economic Law). The term of limitation of consumers’ individual actions who have been excluded from the action is suspended for the period running from the date of publication of the decision on the admissibility of the action for collective redress in the Belgian Official Gazette until the date consumers are informed by the court registry that they are not members of the group (Article XVII.63, Section 3, the Code of Economic Law). The ‘class’ represented by the group representative in an action for collective redress is a group of consumers who personally suffered damage as a consequence of a common cause (notably, a violation of one of the rules mentioned above). The group of consumers that may benefit from the compensation that would be awarded by the court can be composed by means of an ‘opt-in’ or ‘opt-out’ system. Under an opt-in system, only the consumers that have suffered the collective harm and have expressly notified the registry of their intention to belong to the group will potentially be considered as members. Under an opt-out system, all consumers that have suffered the collective harm and have not expressly notified the registry of their intention not to belong to the group (after having had knowledge of the existence of the action) will potentially belong to the group. Once the action has been initiated, the judge chooses between an opt-in or opt-out system in the decision on admissibility, which then applies to the consumers of the group having their habitual residence in Belgium (Article XVII.38, Section 1(1) and Article XVII.43, Section 2(3), of the Code of Economic Law). the number of potential victims. The decision on the admissibility of the class action initiated by Test Achats against the airline Thomas Cook was the first decision on the admissibility of a class action in Belgium. The court held that, in considering which system applies in a particular case, it must first be assessed how the consumers’ interests can be best protected in the specific case. According to the court, when consumers are aware that they have become a victim of damage and when they can easily get an idea of their rights, the interest of the individual victims’ in being part of the group is sufficiently protected by the opt-in system, which requires an active effort of the victims. By contrast, the consumers’ interests are best protected by the opt-out system in cases where compensation of the damage is not so obvious and where consumers are not necessarily aware of the damage they have suffered, or when their rights are less clear. These findings were confirmed in the decision on admissibility in the action initiated against Proximus. In that decision, the court specified that the fact that consumers are informed about their rights through the press or their group representative (Test Achats) does not imply that the interests of individual victims should be less protected and is not decisive in the assessment of whether consumers can be aware of their rights. In the view of the legislator, the opt-out system is most appropriate in cases where the amount of the damages is limited. However, this reasoning has not always been applied in practice by the courts. As regards the type of the damage suffered, the Court of Appeal, deciding on appeal on the admissibility of the action against Proximus, has chosen for the opt-in system for the reason that the alleged damage required an individual assessment of the personal situation of each consumer (the existence of damage and causal link to the alleged infringement had to be proven (and decided upon) for each consumer individually). The number of potential victims and the size of the group are not irrelevant, but in themselves are not decisive to determine the applicable system. In the action against Thomas Cook, the low number of potential victims was one of the reasons that the opt-in system was chosen. In the action against Proximus, the high number of potential victims resulted in the choice for the opt-out system in the decision on admissibility in first instance (on appeal, however, the opt-in system was chosen). Standing in actions for collective redress is governed by Article XVII.36 and Articles XVII.38 to 40 of the Code of Economic Law. Actions for collective redress can only be brought on behalf of a group of consumers who have been personally harmed by the alleged violation of an enterprise. A consumer protection organisation with legal personality, represented in the Council for Consumption or recognised by the Minister of Economy. A non-profit organisation with legal personality recognised by the Minister of Economy, of which the objective is directly related to the collective damage suffered by the group. The Ombudsman’s office for consumers, but only for representing the group in the stage of negotiation of an agreement of collective redress. Natural persons cannot act as a group representative, nor can commercial companies, trade unions or law firms. By limiting the pool of potential group representatives to certain categories of claimants selected on the basis of the interest they defend or the corporate goal they pursue, the legislator aims to avoid abusive or frivolous actions for collective redress. if several candidates apply, enabling selection by the judge of the most suitable representative, excluding the principle of ‘first come, first served’. Lastly, the group representative must meet the above requirements during the entire procedure. If these are no longer met in the course of the proceedings, a new group representative is appointed by the judge. If no new group representative meeting the requirements can be found, the procedure is closed by the judge (Article XVII.40 of the Code of Economic Law). In the decision of 17 March 2016 (see Section III.i), the Belgian Constitutional Court held that the limitation of bodies who can act as group representative is reasonably justified in the light of the above-mentioned objectives. In that same decision, the Court held that, in addition to the above-mentioned bodies, class actions are also admissible if they are brought by the organisations mentioned in Paragraph 4 of the Commission Recommendation 2013/396/EU on common principles for injunctive and compensatory collective redress mechanisms in the Member States concerning violations of rights granted under EU law. Therefore, class actions can also be brought by the representative entities designated for this purpose by the Member States of the EU and EEA. the entity must have sufficient capacity in terms of financial resources, human resources and legal expertise to represent multiple claimants acting in their best interests. Following the decision of the Constitutional Court, these entities are now explicitly included in Article XVII.39, 4° of the Code of Economic Law as a fourth category of potential group representatives. Only consumers can be represented in an action for collective redress. Professional commercial claimants cannot buy consumers’ claims in exchange for a share of the proceeds of the action. Third-party funding of action for collective redress is not prohibited. However, this type of funding is of limited interest owing to the legal provisions concerning the distribution of compensation among the consumers. The Belgian Code of Economic Law provides that a court-appointed administrator must pay compensation to members of the group under the court’s supervision. Therefore, a third-party funder cannot take a share of any proceeds of the action unless an agreement is concluded between the third-party funder and the group members before the distribution of the compensation, which is unlikely. If a consumer uses third-party funding, it will not give the third-party funder standing to participate in the proceedings. However, given the potential influence of the third-party funding on the action for collective redress, its existence must be disclosed in the application initiating proceedings in order for the judge to rule on its adequacy (as for the group representative). No public funding is available for actions for collective redress. The Belgian Code of Economic Law does not provide for the compensation or remuneration of the group representative. As a matter of principle, the action for collective redress cannot be a way for the group representative to make profits. The group representative is only entitled to the reimbursement of the costs and fees incurred in relation with the proceedings, as well as of the legal ‘procedural indemnity’ (that is, the lump sum that must be paid by the losing party to the winning party; see Section III.iv). Consequently, the group representative’s financial capacity is one of the central criteria for the certification of the action for collective redress, specifically the assessment of its adequacy. There are no other funding options available. It is very likely that the lack of a funding regime will affect the attractiveness and frequency of actions for collective redress in Belgium since group representatives must have an important financial capacity in order to undertake such actions on behalf of consumers, without any remuneration and with a limited recovery of their lawyer fees. However, financial benefits that indirectly result from class actions have increased the attractiveness of initiating such actions for one group representative (Test Achats) already. As indicated, all six class actions initiated so far have been initiated by Test Achats, the main Belgian consumer protection organisation. Although class actions cannot be initiated for profit and the class actions initiated by Test Achats can be joined by consumers without payment, it appears that class actions have become an important source of income for the organisation. By launching actions for collective redress, on the one hand, and activities relating to collective purchase of products and services, on the other hand, the organisation has reached 2.4 million consumers in recent years, which has resulted in 60,000 new paid member subscriptions and in an increased use of its service platform. 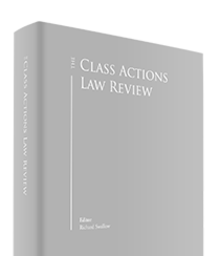 Therefore, despite the lack of a funding regime, indirect financial benefits resulting from class actions can raise the attractiveness of class actions and can financially enable group representatives to initiate subsequent class actions. Admissibility phase (two months after the filing). However, it appears that this legal deadline is not applied in practice. In the class actions initiated so far, taking into account the importance of the admissibility phase and the rights of defence (of the defendant in particular), a procedural timetable was set with deadlines for the parties to exchange briefs regarding the admissibility of the class action, followed by oral pleadings concerning this aspect only. Since this timetable has always been (and is usually likely to be) spread over several months, the decision on the admissibility is generally not rendered within two months after the filing of the class action. Compulsory negotiation phase (three to six months after the judgment on the admissibility). judgment rendered by the court. At the very beginning of the proceedings on the merits, the court or the parties must set a procedural timetable to determine the deadlines for filing the parties’ briefs with the court and the date of the oral pleadings. Parties are entitled to request jointly the postponing of the case for an indefinite period. the efficiency of the action for collective redress compared to individual actions (see Section III.i). In addition, if the defendant claims that the action for collective redress has become without basis (that is, devoid of purpose) for the reason that all (potential) victims have already been compensated, the court is allowed (for the sake of procedural efficiency) to assess the accuracy of this statement in the course of the admissibility phase, even though this touches upon the merits of the case. The court confirmed this in the decision on the admissibility of the class action initiated by Test Achats against the airline Thomas Cook. manifestly clear at first sight (and therefore, it cannot be disputed) that full payment of the claim had been made. The court indicated that in the admissibility phase the claimant cannot be obliged to demonstrate who has been compensated in full and to take a position concerning this issue, as this pertains to the merits of the case. In theory, the court must rule on the admissibility of the action for collective redress within the two months following its filing with the court (however, see above ‘Timetabling’). If the court considers the action for collective redress admissible, the judgment will authorise the group representative to act as such. The judgment must identify the group and any sub-categories. It must also determine whether the group will be composed on an opt-in or opt-out basis, as well as determining how the option will be exercised. The parties are entitled to lodge an appeal against the judgment on the admissibility of the action for collective redress. No minimum or maximum number of claimants is required for an action for collective redress to be brought and declared admissible. The only condition is the efficiency of the action for collective redress. An action for collective redress can only be admissible if it appears more effective than an individual action of ordinary law. As indicated, the (potential) number of the claimants is an important factor to be taken into consideration by the judge when examining the admissibility requirement (see Section III.i). An action for collective redress is more likely to be deemed more efficient than individual actions when an important amount of consumers is potentially affected by a common issue. In the decision on the admissibility of the class action initiated by Test Achats against the airline Thomas Cook, the court indicated that, when the majority of the (potential) victims has already been compensated before the action was initiated and only a limited number of (potential) victims has not been compensated yet, the court can consider that collective redress is not more efficient and that the action is therefore inadmissible. In this regard, the court specified that if some compensations were paid after the proceedings had been initiated, the action is inadmissible only in relation to the remaining (potential) victims who have not received compensation. However, it is still admissible in relation to the victims who have been compensated pending the proceedings. In relation to these victims, the proceedings will become without basis (that is, devoid of purpose) because once they are compensated, they will automatically lose their substantive right. Therefore, a decision on the admissibility becomes unnecessary. If all (potential) victims are compensated pending the proceedings, the entire action for collective redress can be declared without basis (that is, devoid of purpose). Under Belgian law, the basic principle is the full compensation of the actual damage suffered. The injured person must be reinstated into the position he or she would have been in if the injury had not been committed. To that extent, punitive damages are prohibited. Quantification of the actual loss suffered is calculated by the judge on the ground of parties’ submissions and, possibly, experts’ reports. There is no cap on the quantum that can be recovered either from a single defendant, or overall. As a matter of principle, each defendant is jointly and severally liable for the damage suffered unless the judge rules otherwise. It is possible for a defendant to bring a separate action against other persons responsible for the conduct complained of in order to recover part of the damages he or she paid (that is, a contribution claim). There are no special rules applicable to the payment of interest in the field of actions for collective redress. However, specific interest rates are potentially applicable depending on the area of law concerned by the action for collective redress. Post-judgment interest must be awarded from the date of the application initiating proceedings at a rate that is currently set (for 2017) at 2 per cent per annum. To date, no decision on the merits of an action for collective redress has been rendered yet, and as such, no damages have been awarded. There is a ‘loser pays’ principle under Belgian law. The losing party will bear all the costs of the proceedings (filing fee, expert costs, translation costs, among others). The recoverable lawyer fees of the winning party are limited to the procedural indemnity. The amount of the procedural indemnity is set by law. Since 1 March 2011, the amount of the procedural indemnity is calculated as follows. If the claim cannot be appraised in monetary terms, the basic amount of this indemnity is €1,440. If the claim can be appraised in monetary terms, the basic indemnity will range between €180 and €18,000. Under certain circumstances, the amounts set by law may be increased or decreased by the court. If the case is settled, costs and fees are set out in the agreement concluded by the parties. Under the Code of Economic Law, a compulsory negotiation phase that lasts between three and six months must take place immediately after the decision of the court on the admissibility of the action for collective redress (see Section III.iii) (Articles XVII.45 to 51 of the Code of Economic Law). This compulsory stay of the proceedings is provided to allow parties to negotiate a potential collective settlement agreement within a specific time frame decided by the court. At the end of this ‘cooling-off’ period, either the court endorses the settlement by making the agreement binding on the parties or the proceedings on the merits start. Otherwise, if the parties reach an amicable settlement of the case ‘out of court’ before the decision on the merits, they are entitled to file an application with the court to enact the collective settlement agreement already entered into to make it binding on all group members. The negotiation can cover all or part of the dispute. Therefore, where there is more than one defendant, they can settle separately. The settlement agreement will be endorsed by the court only with respect to them. The judge will remain seized of the action for collective redress with regard to the remaining defendants in order to rule on the merits. Consumers of the group who are domiciled outside of Belgium can participate in an action for collective redress, provided that they explicitly opt in to the procedure within the term laid down in the decision on admissibility, by notifying the registry of their intention to join the action for collective redress (Article XVII.38, Section 1(2) of the Code of Economic Law). At the national level, the Belgian federal government carried out an evaluation of the procedure for collective redress (by means of a questionnaire disseminated to all stakeholders) in order to examine, among other things, whether the scope of application of the procedure (currently open to consumers) could be extended to small and medium enterprises (SMEs). At the European level, Directive 2014/104/EU on actions for damages under national law for infringements of competition law provisions of the Member States (Antitrust Damages Directive) was adopted by the Council and the Parliament in November 2014. The aim of this directive on ‘private enforcement’ of competition law is to provide effective access to justice to obtain compensation for direct and indirect victims, both consumers and SMEs, for violations of competition law. The Antitrust Damages Directive does not require member states to introduce collective redress mechanisms for the enforcement of competition law (Preamble, Section 13). However, considering the ratio of the directive (effective access to justice) and the nature of the damage (mass damage, for which class or collective actions are recommended based on grounds of procedural economy), the European institutions did recommend that the Member States introduce such collective redress mechanisms open to SMEs. As mentioned, in June 2017, the Belgian legislator extended the scope of the class action regime to include infringements of EU competition law. Following the above-mentioned evaluation of the Act on the one hand and the recent Fipronil crisis in the EU on the other hand, the Belgian government has also decided to extend the scope of the collective action under Belgian law. Accordingly, on 1 September 2017, the Belgian Council of Ministers approved a preliminary draft bill extending the access to collective actions to small and medium-sized enterprises. On 26 October 2017, the Council of State issued its opinion on the draft bill. On 22 January 2018, a new draft bill was submitted to the Chamber of Representatives so as to take into account the comments of the Council of State. The draft bill was adopted by the responsible committee on 6 March 2018 and is soon to be put to vote in plenary session. Following the new bill, class actions can be initiated by a group of SMEs injured as a result of a common cause, represented by a group representative acting on behalf of the group. In the event both consumers and SMEs decide to act in the same cause, the two groups will have to be represented separately. Within this context, SMEs are defined – in accordance with the EU Recommendation 2003/361/CE on SMEs – as enterprises that employ fewer than 250 persons and that have an annual turnover not exceeding €50 million, and/or an annual balance sheet total not exceeding €43 million. The following entities can act as group representative: (1) an inter-professional organisation having legal personality and defending the interests of SMEs that is either represented in the High Council for the Self-employed and the SMEs, or authorised by the Minister of Economy; (2) a non-profit organisation authorised by the Minister of Economy that has existed for more than three years; or (3) a representative entity designated for this purpose by a Member State of the EU or EEA that meets the requirements set out in Paragraph 4 of the Commission Recommendation 2013/396/EU on collective redress mechanisms dated 11 June 2013. Commercial companies and law firms are, therefore, excluded as they do not meet these criteria. As for consumers, collective actions by SMEs can only be brought for alleged violations by an enterprise of its contractual obligations or of specifically enumerated Belgian and European Rules. It can be expected that most collective actions brought by SMEs will be based on violations of (Belgian or EU) competition law or unfair market practices. The group of SMEs will be composed pursuant to the same rules applicable to consumers (opt-in or opt-out). The extension will be applicable to all cases introduced after the date of the entry into force of the act introducing the extension, provided that the alleged breach occurred after 1 September 2014. 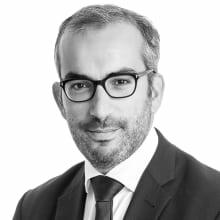 1 Hakim Boularbah is a partner and Maria-Clara Van den Bossche is an associate at Liedekerke Wolters Waelbroeck Kirkpatrick.